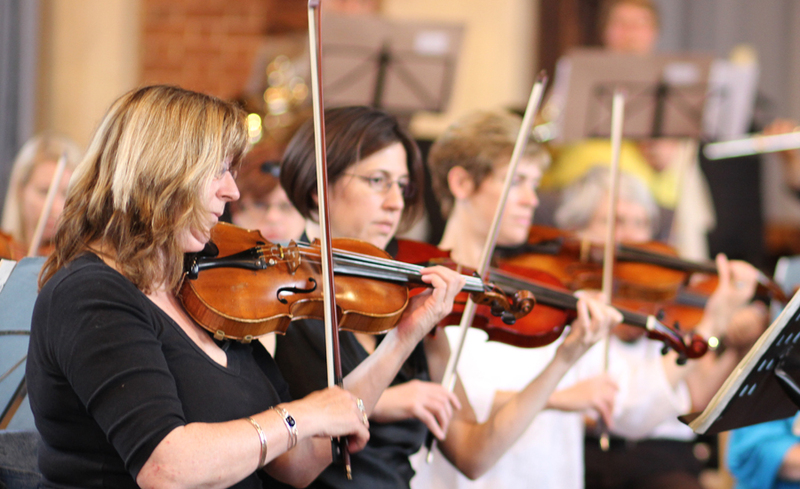 For the last concert of the 2018/19 season, Trinity Orchestra is delighted to present a contrasting and exciting programme showcasing the talents of the separate sections under the baton of experienced Guest Conductor, Philip Hesketh. Copland’s short but rousing fanfare for brass and percussion heralds the opening of the concert, after which, in a complete change of mood, the strings of Trinity Orchestra will perform Tchaikovsky’s beautiful and much-loved Serenade. The brass feature again in the short Symphony for Brass Choir by Victor Ewald – a Russian composer who was a contemporary of, amongst others, Borodin and Rimsky-Korsakov. Next it will be the turn of the woodwind and horns to display their talents in Richard Strauss’s early and lyrical Serenade in E flat. All sections of the orchestra will join together to perform the Masquerade Suite by Armenian composer, Aram Khachaturian. This enjoyable and exhilarating five-movement Suite was written in 1941 as incidental music for a production of the play of the same name by Russian poet and playwright Mikhail Lermontov. The happy Waltz movement is very well-known and sweeps the listener up in a whirling dance. Drawing the season to a close, we perform what is probably Sibelius’s most well-known and popular work, Finlandia. It is a fervently nationalistic piece, charting as it does, Finland’s journey as a nation from repression to freedom – the free nation represented by the joyful and triumphant celebratory hymn at the end.